HOLLYWOOD, FL. (April 29, 2016) - Undefeated lightweight world champion Rances “Kid Blast” Barthelemy (24-0, 13 KOs) will make his first title defense against former world champion Mickey “The Spirit” Bey (22-1-1, 10 KOs) in the main event of Premier Boxing Champions (PBC) on Spike Friday, June 3 at the Hard Rock Live at the Seminole Hotel & Casino in Hollywood, Florida. Televised coverage begins at 9 p.m. ET/PT as unbeaten Puerto Rican prospect Emmanuel Rodriguez (14-0, 10 KOs) takes on hard-hitting Mexican Victor “Pitufo” Proa (28-1-2, 21 KOs) in a 10-round bantamweight affair. 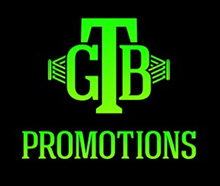 Tickets for the live event, which is promoted by Kings Promotions, Warriors Boxing, Mayweather Promotions and Panther Promotions, are priced at $130, $80, $60 and $35 and are on sale now. All seats are reserved and available at all Ticketmaster outlets, online at www.myhrl.com, www.ticketmaster.com or charge by phone: 1-800-745-3000. Doors open at 5:30 pm, with the first fight set to begin at 6:30 p.m. *Additional fees may apply. A Cuban amateur national champion, 29-year-old Barthelemy has yet to taste defeat since turning pro in 2009. Born in Cuba but now fighting out of Las Vegas, he won a super featherweight world title in July 2014 by defeating Argenis Mendez in impressive fashion, and followed that up with a second round TKO victory over Angino Perez. After dominating former champion Antonio DeMarco in June, he won a world title in a second division when he impressively defeated Denis Shafikov in December. Bey won his world title in 2014 with a decision victory over long reigning champion Miguel Vasquez. The 32-year-old vacated his title due to inactivity and injuries but returned in December to defeat previously unbeaten Naim Nelson by decision to earn himself a shot at the very title he vacated. Bey’s previous victories include defeats against Alan Herrera, Carlos Cardenas and Hector Velazquez. At just 23-years-old, Rodriguez has been on a fast track towards a world title fight since turning pro in 2012. He made his U.S. debut in November by stopping Eliecer Aquino after previously taking down Gabor Molnar, Luis Hinojosa and Alex Rangel in 2015. The Manati, Puerto Rico-born fighter will bring his exciting style into the ring against another tough opponent on June 3. Fighting out of Monterrey, Mexico, Proa will be fighting in the U.S. for the third time when he takes on Rodriguez on June 3. The 31-year-old was unbeaten in his first 28 pro starts and has won his last two bouts, including most recently a first round stoppage of Oswaldo Delgado in February.